Let’s save turtles! 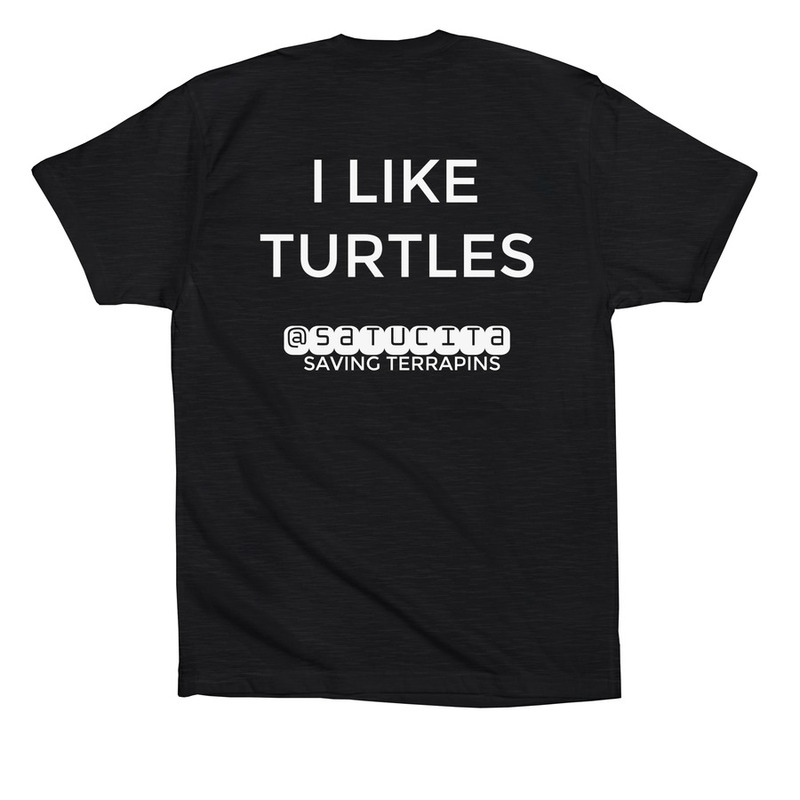 The Painted Terrapin Species Survival Plan® (SSP) Program of the Association of Zoos and Aquariums (AZA) is sponsoring a fundraising campaign through t-shirt sales at Bonfire.com to support efforts in the wild to save the critically endangered Painted terrapin and other turtle species from extinction. We are supporting the efforts of the Satucita Foundation. The Satucita Foundation helps to save the Painted terrapin in the wild by conducting field research, community outreach, and releasing turtles! Help us help the heroes who are making a difference! The Painted Terrapin AZA Species Survival Plan® (SSP) Program strives to manage and conserve an endangered ex situ species population with the cooperation of AZA-accredited institutions. SSP Programs develop a Breeding and Transfer Plan that identifies population management goals and recommendations to ensure the sustainability of a healthy, genetically diverse, and demographically varied population. The Painted terrapin (Batagur borneoensis) is an aquatic estuarine turtle and one of the most endangered river turtles in South East Asia. During the breeding season the head of the males turn white and a red stripe appears between his eyes giving it a ‘painted’ appearance which is how it gets its name. Along side our efforts to manage captive populations we aim to educate and support conservation efforts of the Painted terrapin. After all, the ultimate goal is to see these turtles living in the wild unthreatened and thriving. The Satucita Foundation is a great conservation champion who play an instrumental role of saving these turtles and we hope you can help support their needs. The Satucita Foundation (Yayasan Satucita Lestari Indonesia) was founded and registered in Minister of Law and Human Rights in 2012. This small and local foundation was founded by conservationist Joko Guntoro. The idea to form the group – that transformed to a foundation – is based on the result of preliminary study on the Painted Terrapin (Batagur borneoensis) that was conducted by Joko Guntoro. The study found that the population of this species was threatened by egg poaching, habitat loss, and had disappeared in many locations. Unfortunately, the same threats were also found to other freshwater turtles and tortoises. Therefore, to conserve this species effectively, when there were no organizations that had interest and attention to do it, a special organization must be formed. So, the Satucita was established to overcome the challenges and threats. By participating in this fundraiser you will be supporting the Satucita Foundation and local turtles. Your donation will be used to help carry out field monitoring and surveying, nesting patrols, field research, increasing awareness, improving their head starting facility and conservation center, and restoring habitat. Thank you for exploring the possibility to support Painted terrapin conservation. Save Turtles with Satucita! You can participate in this fundraising event by click and visiting this link save turtles! Please share it to your friend and colleagues if you think that this is worthed!